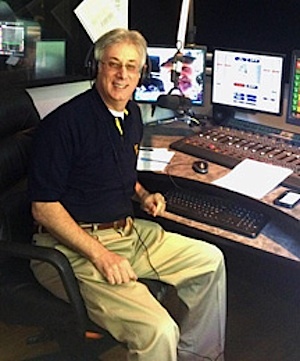 You are here: Home » Exclusive » Charlie Cook On Air: Is Radio A Flight Risk? Charlie Cook On Air: Is Radio A Flight Risk? If you spend more than an average amount of times on airplanes, the news this month about being able to keep your cell phones and tablets on even when taking off and landing was great news. Not because it was all that much of an inconvenience to turn your electronic devices off for those few minutes but because it keeps ordinary Americans from being criminals. Flight attendants acted like you should be hauled off the plane and beaten to an inch of your life if you failed their orders. I actually always did turn off my phone. It just wasn’t that big of a deal to me, but scores of travelers hid their phones for those 15 minutes at the start and ending of the flights. There is currently discussion about allowing you to talk on your cell phone while in flight. This is the actual reason they ban guns from flights. I guarantee you that there would be shootings onboard otherwise. Right now I seem to ALWAYS get the seat in front of two chatty Cathys. What if it took only one chatty Cathy? Yikes. Additionally, do you notice how much l louder people talk when on a cell phone? Add to that the sound of the airplane and every third person trying hold their own “private conversation” and you’ll have chaos. Okay, I have a solution to this situation. Today flyers are not allowed to listen to radios on board flights, which is a totally senseless rule. Radios are not transmitters. They are one-way devices. They receive a signal from the ground. A signal, or signals that are already out there in the atmosphere in almost every square inch of America. The same America that they fly over and over and over all day, every day. If the signals were an issue we would already know about it. Airplane electronics are so robust that they can withstand lightening strikes. But not Lightening 100 in Nashville? If they allow phones, which quite frankly can be used as trigger devices for bombs in luggage in the cargo area of the plane, but not radios that bring only joy and entertainment to the masses from small town to big cities, well I don’t know what to say. Think of all the fun a plane full of ordinary Americans would have if they were listening to morning shows on early flights. Think about how relaxing midday flights would be with great Country music stations from city to city as you wing through the air. Flyers could listen to Rush Limbaugh live and land having been challenged about the issues of the day. Even late night flights would be great, hearing new music challenges and the “Top 9 at 9” each evening. I know that many of you might think that devices like I-Pods and phone music libraries already provide a way for travelers to hear this music. Well, everyone wants variety and unpredictability and that comes from well programmed radio stations. These weary travelers don’t want the same old stuff over and over and over. Now I would be willing to have radio just piped in overhead throughout the entire flight but there may be some who want to sleep during the flight. I suspect so many sleep today because radio is not available and that may change, but I’m courteous if nothing else. If not overhead, then everyone can use headsets and enjoy radio as it was meant to be heard. FREE, everywhere and all of the time. Yes, Virginia, I believe we have found something to be thankful for.